For the past few months my Saturday morning Chamoru coffee shop classes have been structured around two activities. Each class begins with the translation of a Chamoru song into English. Usually the students get to the pick the particular song, or at least the type of song. Second, we go through a longer narrative, sometimes a story, a speech or a poem in Chamoru and also spend time translating it and practicing reading it. Where Do We Hear Chamoru? 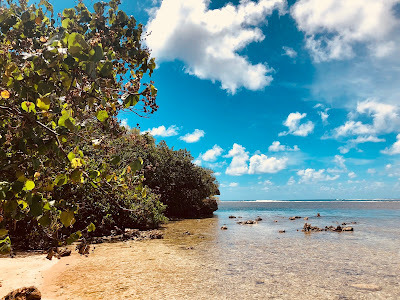 For each Inacha'igen Fino' CHamoru, the Chamorro Studies and Chamoru language faculty at UOG collect or produce a handful of creative and expressive texts in the language. These texts are used as part of the competition for these categories, Lalai (chant), Rinisådan Po'ema (poetry recitation) and Tinaitai Koru (choral reading). Students have to memorize and then recite or perform these either as individuals or as a group. Guaha meggai na tinilaika gi på'go na såkkan. Meggai nuebu na siniente-ku ya guaha na biahi kulang machuchuda' enao siha gi sanhalom-hu. Fihu anggen taiguenao yu', ya-hu sumotta sina gi tinge'-hu, kolo'lo'ña betsu pat po'ema siha. Todu i tinige'-hu guini put guinaiya. Sa' ma'pos un eståba na guinaiya yan manaliligao yu' nuebu. Estague i betsu-hu sina, ni' hu tuge' gi halacha na tiempo. I've spent the last year thinking a lot about Magellan. Well as a Guam historian, I think about Magellan a lot and quite regularly, whether I want to or not. 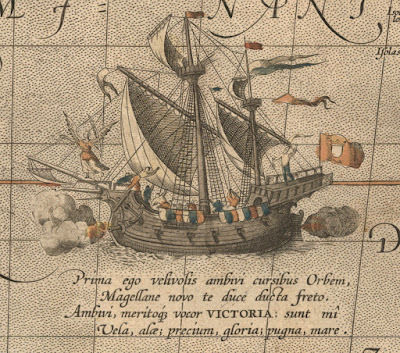 But the particular ways I've been thinking about Magellan lately have centered around the fact that the 500th anniversary of the circumnavigation he led will take place in 2021. There will be several voyages that will be following his route around the world and they will naturally stop in Guam in March 2021. I was invited to a conference on behalf of Guam and the University of Guam last March, which was seen as being a launching event for the Spanish Navy for their anniversary commemoration. I wrote about it on this blog as part of my Circumnavigations series. 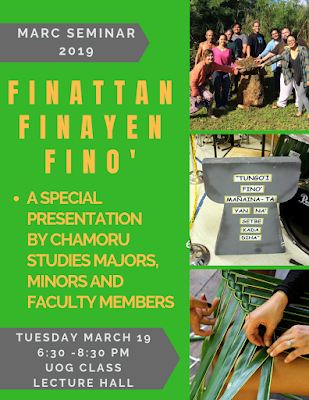 A special presentation by Chamorro Studies student at UOG as part of the 2019 MARC Seminar Series. Sen gefpågo este na dinanña'. Ya-hu taiguihi na fina'pos, sa' ta na'fåmta' i lengguahi ya ta na'gof oppan gui' lokkue'! It featured presentations by students at the CM102, 202 and 302 levels. It also featured some very special presentations by my CM340 of Chamoru Culture students. One of whom Joe "Dågu" Babauta is included below in a video with his original song that he shared. My two columns from earlier this year published in the Pacific Daily News on the ban of cockfighting in the US territories. I've been slowly working towards an article on this topic, targeting two main aspects. 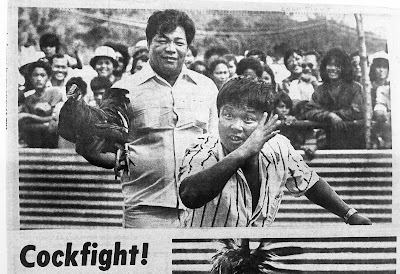 First, the debate over whether or not we can consider cockfighting to be part of Chamoru culture or whether it is really Chamoru or not. This is deployed in very interesting ways in this debate, as people seem to feel that if it isn't really Chamoru then it is ok and right to ban it. Whereas others tie to a strong, grounded sense of authenticity in contrast to perceived sort of softness of Americanized life. Very interesting sort of discursive dancing around authenticity. Monday, March 11, 2019, CLASS Lecture Hall, 12 noon – 5 p.m.